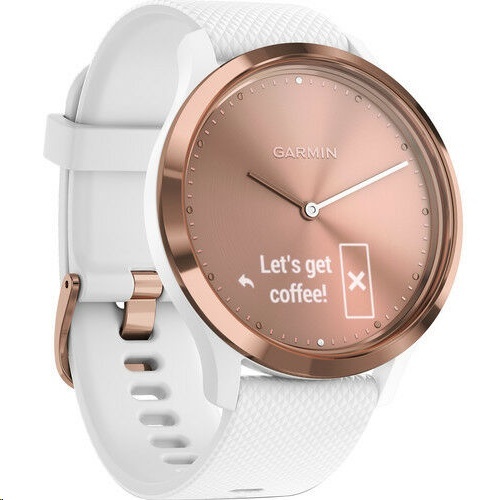 Get substance and style with the Garmin vivomove HR Watch This is the Sport model; it features a rose gold finish and comes equipped with a white silicone band. 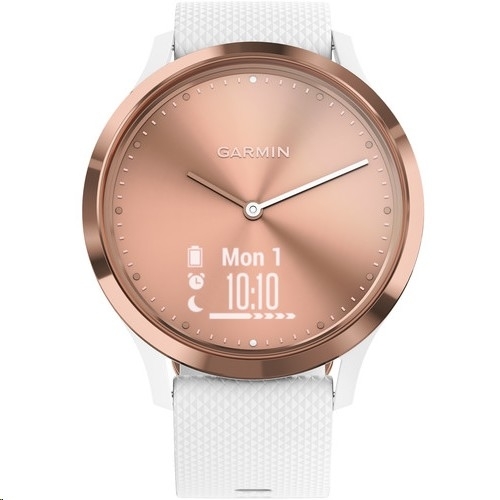 In addition to its classic timepiece design, the vivomove HR provides advanced activity tracking, including 24/7 heart rate monitoring, steps and distance tracking, sleep quality monitoring, and more. The vivomove HR also includes multiple wellness monitoring tools to help you manage stress and combat stress-related symptoms. Both time and activity data can be easily seen on the vivomove HR's crisp OLED touchscreen. When connected to your smartphone via Bluetooth, the vivomove HR will receive and display smart notifications. 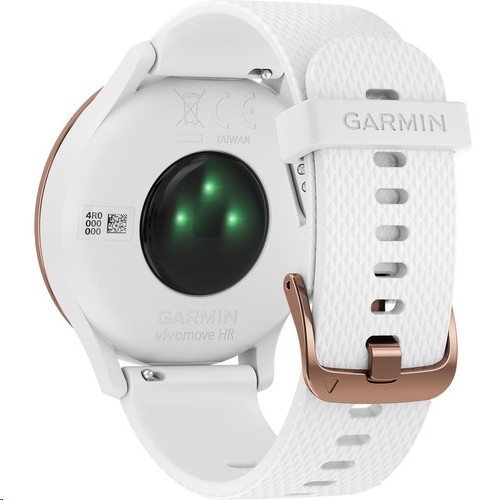 It also automatically syncs your data with Garmin Connect Mobile, allowing you to revisit, analyze, and share your progress. 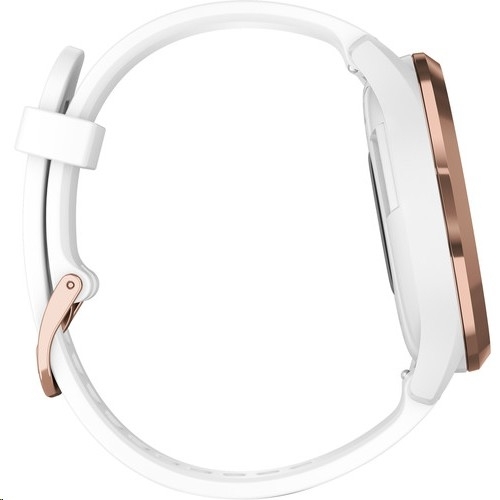 The vivomove HR's battery lasts up to 5 days in Smart Mode and up to 2 weeks in Watch Mode. It's water resistant to 164', so you can take it in the pool, shower, and expose it to the elements.